Extraordinary event of conducted Improvised music with Philadelphia musicians and Music for People members. Drumming, dancing, audience participation and fantastic music. You will hear the most unique music ever, comprised of Music for People (MFP) participants and local musicians led by Lynn Miller, Ron Kravitz and others..Each composition has a different conductor creating completely improvised music with a palette of winds, strings, guitars, voices, found objects, percussion, world instruments and you! levels of experience and styles welcome! From the evening of Friday, Feb. 12 through Sunday, Feb. 14.
early bird discount ends Jan 30th! But believe it or not, we are already planning for our best GARDEN season yet! Pretty soon, we will trade in our snow gloves for gardening gloves, so GET READY! Community Garden Member Applications are NOW being Accepted! We are now accepting applications for the 2016 growing season! Everyone is welcome to join us this season at the Mosaic Community Gardens – a safe place for the entire family to grow, learn, share and play! For your annual one-time contribution, Mosaic will supply all of the tools, seeds, plants, dirt and water you need to grow yourself a fantastic garden! The first planting weekend is set for Saturday, May 14 – 15. We will prepare to plant, dig-in and enjoy ourselves the entire weekend! All are welcome to put down some roots with MOSAIC! Please visit us on the web at www.mosaicclt.org or send an email to mosaicclt@gmail.com to sign up! MOSAIC Makes a Statement-So Can You! MOSAIC Community Gardens have an all-new logo! Help us spread the word, plant the seed and change our neighborhood by purchasing a T-shirt for $16 (front and back printed in sizes for the whole family), tote bag, magnet or button displaying the MOSAIC logo. Contact Mary-Beth Bacallao at flyeredup8831@gmail.com or Laura Washington at wash5000@msn.com to get your goods today! Do You Want to Build A… Garden? MOSAIC will present “How to Design, Plan and Start a Home Garden” at Pottstown Library in late February. Please check back for date and time and details and join Tracy Purdy, our star intern, to think Spring and plan your home garden! Pine Hill Farms and the Heylmun Family supported MOSAIC Community Land Trust through our annual Christmas Tree Sale and Home Garden Contest! Thank you to the Heylmuns and everyone who purchased a tree and donated to MOSAIC. We appreciate the support of the Heylmun family year after year. Jackson Pollock your hero? Renoir make your heart race? Join MOSAIC and ArtFusion on Saturday, February 13! From 7-9 PM, you can let your inner Picasso shine for a good cause! BYOB and snacks, and maybe a smock or two in case you’re inspired to do some abstract art on yourself! $20 per ticket or $35 per two ticket purchase. Proceeds to benefit Mosaic/ArtFusion summer programming. Register online at http://www.artfusion19464.org or at ArtFusion, 254 E. High Street, Pottstown. Hope to see you there! Beginning February 18, from 6 to 8 PM, MOSAIC will partner with ArtFusion, STRIVE, Olivet Boys and Girls Club to present My Voice, a 12-week program for teens. Healthy meal preps, art journaling, music and theatre workshops will be provided. Through fun, interactive experiences, My Voice will increase the involvement of young people in their community by asking them to visually articulate their ideal community, resulting in a visual art canvas, short film and relevant artistic renditions that define and embody the voice of young peoples’ dreams for Pottstown. This program is graciously sponsored in part by Olivet Boys and Girls Club. On the 18th, an information session will be held prior to the workshop for parents and youth alike. A warm meal will be prepared and served by the entire group! 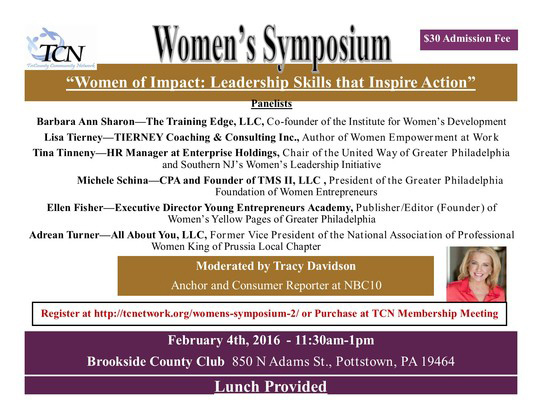 Please contact ArtFusion at (610) 326-2506 to register. Together we are stronger—one community, many voices! Amazon Smile – An Easy Way to Give and Get! Michael J. D’Aniello, Esq. was appointed to the College’s Board of Trustees in 2001, and he served as the Board’s treasurer from 2004-2010 before being elected chair in 2011. A graduate of MCCC, he was inducted into its prestigious Alumni Hall of Fame in 2003 for outstanding service to the community. D’Aniello has practiced law from his Montgomery County office since 1983. He is admitted to practice before the United States Supreme Court and the Supreme Court of Pennsylvania. In addition to an A.S. from MCCC, D’Aniello holds a B.S. in Accounting from Villanova University and a J.D. from Widener University School of Law. Andrew B. Cantor was first appointed to the Board in 1997 and has served as the Board’s vice chair since 2011. He previously served as secretary from 2003-2010. He is retired from Wisler, Pearlstein LLP after 48 years of practice, and he serves on the Board of Trustees for Einstein Medical Center, Montgomery, as secretary of the Board of Trustees for New Regional Medical Center, and as an emeritus trustee for Albert Einstein Medical Center. He previously served as the president of the Montgomery County Bar Association, the Montgomery County Trial Lawyers Association, and the Board of Trustees for the Hedwig House, Inc. Cantor holds a B.A. from Trinity College and an L.L.B. from the University of Pennsylvania Law School. Regina Lowrie joined the Board of Trustees in 2009, and was first elected as treasurer in 2011. She was a member of the College’s Foundation Board of Directors from 2003-2015, and she served as chairperson of the Courage to Create Capital Campaign in support of the Fine Arts. 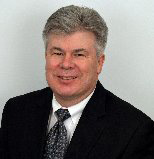 Lowrie is the President and CEO of RML Advisors in Blue Bell, Pa. and has more than 32 years of mortgage banking experience. Lowrie served as the 2006 Chairman of the national Mortgage Bankers Association, becoming the first woman to do so in the organization’s 94-year history. In 2000, Lowrie was honored by Governor Tom Ridge as one of Pennsylvania’s “Best 50 Women in Business.” She was named “Women of the Year 2014” by the Montgomery County Community College Foundation. Gertrude Mann was appointed to the College’s Board of Trustees in 1999 and has served as secretary since 2011. She previously held the position of assistant secretary from 2002-2010, and she has served as the past chair the Foundation’s Scholarship Scramble golf event. Mann has held the positions of chairperson of the Board and human resources representative for PM Fasteners, Inc. She is a member of the Ambler Kiwanis Club and is active in politics. She holds a B.S. from Penn State University. Marcel L. Groen was appointed to the College’s Board of Trustees in 2009, and was first elected assistant secretary in 2013. He is a partner with Fox Rothschild, LLP and was a former partner and founder of Groen, Laveson, Goldberg & Rubenstone, LLC. He is a member of the Pennsylvania and Bucks County Bar Associations as well as counsel for Delaware River Joint Toll Bridge Commission. Among his numerous community affiliations, Groen has served as former chairman and founder of the Bucks County International Trade Council, member of the Pennsylvania Supreme Court Appellate Rules Committee, former counsel for Lower Bucks Chamber of Commerce, and chairman of the Montgomery County Democratic Committee. He holds a J.D. from Temple University School of Law. The 15-person Board of Trustees is the policy and governing body of Montgomery County Community College. Trustees are appointed by the Montgomery County Commissioners to six-year, renewable terms. The Board sets policies to advance the College’s mission and affect student access, curriculum, and the administration of the College, including approving and monitoring an annual operating and capital budget, setting tuition and fees, and hiring and evaluating the President. The Board meets monthly in public session from September to June, and uses a committee structure to consider issues in areas around finance/audit, physical plant, curriculum and personnel. 1: Tap dancer Lillian Pritchard will perform in a new piece by choreographer Shelley Oliver for Muhlenberg College’s “Master Choreographers” concert, Feb. 11-13. 2: Muhlenberg College presents the world premiere of a new ballet by Heidi Cruz-Austin, as part of its annual Master Choreographers concert, Feb. 11-13. 3: Muhlenberg College presents a new dance piece by dance program founder Karen Dearborn, featuring an aerial photography and an all-male cast, as part of its annual Master Choreographers concert, Feb. 11-13. 4: Muhlenberg College presents the world premiere of a new dance piece by Jeffrey Peterson, as part of its annual Master Choreographers concert, Feb. 11-13. 5: Acclaimed choreographer Donald McKayle’s “Songs of the Disinherited” will be restaged for Muhlenberg College’s “Master Choreographers” concert, Feb. 11-13. 6: Soloist Allison Conley will perform in a restaging of acclaimed choreographer Donald McKayle’s “Songs of the Disinherited” for Muhlenberg College’s “Master Choreographers” concert, Feb. 11-13. Allentown, PA — This season’s “Master Choreographers” concert at Muhlenberg College will feature restagings of three major works by world-renowned choreographers and four world-premiere works by faculty and guest artists. Presented Feb. 11-13 in the college’s Empie Theatre, the annual concert by the college’s nationally recognized Dance Program will feature more than 70 dancers. The concert will feature restagings of “Ligeti Essays,” choreographed by Karole Armitage; “Songs of the Disinherited,” choreographed by Donald McKayle; and “To Have and To Hold,” choreographed by Shapiro & Smith Dance. The concert will also feature world-premiere works by Karen Dearborn, Jeffrey Peterson, Heidi Cruz-Austin, and Shelley Oliver. “Ligeti Essays” is “breathtaking, providing a pristine setting for Ms. Armitage’s partially frozen world,” according to the New York Times. “As the lighting gently shifts from light to dark, the stage takes on the look of a remote, icy pond in the middle of a dream.” The piece is presented with funding from the Dexter F. & Dorothy H. Baker Foundation. The Baker Foundation has sponsored Muhlenberg’s Baker Artist in Residence program every year since 1992. Donald McKayle has been named by the Dance Heritage Coalition “One of America’s Dance Treasures: the First 100.” He has choreographed more than 90 works for dance companies in the United States, Canada, Israel, Europe and South America, and has received five Tony Award nominations for his work in musical theater. Shapiro and Smith Dance began as a collaboration between Danial Shapiro and Joanie Smith after meeting in the companies of Murray Louis and Alwin Nikolais. The company has a reputation for performing tales of beauty and biting wit that run the gamut from searingly provocative to absurdly hilarious. Dancing with breathtaking physicality and emotional depth, they have earned an international reputation for virtuosity, substance, craft, and pure abandonment. This year’s edition of “Master Choreographers” also will feature four world premiere pieces by Muhlenberg faculty and guest artists. Karen Dearborn, the concert’s artistic director and the director and founder of Muhlenberg’s dance program, has created a new, all-male piece that incorporates aerial acrobatics. The concert will also feature a new ballet by Heidi Cruz-Austin, alumna of the Pennsylvania Ballet; a tap piece by Shelley Oliver, director of Shelley Oliver Tap Dancers; and a modern piece by Jeffrey Peterson, former dancer with Danny Buraczeski’s Jazzdance. Karole Armitage is the artistic director of the New York-based Armitage Gone! Dance Company, founded in 2004. She was rigorously trained in classical ballet and began her professional career as a member of the Ballet du Grand Théâtre de Genève, Switzerland (1973-1975), a company devoted exclusively to the repertory of George Balanchine. In 1976, she was invited to join Merce Cunningham’s company, where she remained for five years (1975-1981), performing leading roles in Cunningham’s landmark works. Throughout the 1980s, she led her own New York-based dance company, The Armitage Ballet. She set new works on companies including the Bolshoi Ballet in Moscow, the Ballet de Monte Carlo, Lyon Opera Ballet, Ballet Nacional de Cuba, The Washington Ballet, Alvin Ailey American Dance Theater, The Kansas City Ballet, The Greek National Company, The Bern Ballet and Rambert Dance Company. Armitage served as Director of the 45-memeber MaggioDanza, the Ballet of Florence, Italy (1996-2000), the Biennale of Contemporary Dance in Venice (2004), and as resident choreographer for the Ballet de Lorrine in France (2000-2004). After her company’s successful season at the Joyce in 2004, Armitage’s focus shifted to creating her New York-based company, Armitage Gone! Dance. Armitage has choreographed two Broadway productions (“Passing Strange” and “Hair,” which garnered her a Tony nomination), videos for Madonna and Michael Jackson, several Merchant-Ivory films and Cirque du Soleil’s 2012 tent show, “Amaluna.” In 2009, she was awarded France’s most prestigious award, Commandeur dans l’orde des Arts et des Lettres. She is the 2012 recipient of the prestigious artist-in-residence grant at the Chinati Foundation, founded by artist Donald Judd in Marfa, Texas. She has directed operas from the baroque and contemporary repertoire for prestigious houses of Europe, including Teatro di San Carlo in Naples, Théâtre du Châtelet in Paris, the Lyric Opera in Athens, Het Muzik Theater in Amsterdam. She choreographed “The Cunning Little Vixen” in 2011 and “A Dancer’s Dream” in 2013 for the New York Philharmonic and provided choreography for “Marie Antoinette,” by playwright David Adjmi, at the American Repertory Theater Harvard and Yale Repertory Theater. Donald McKayle has been named by the Dance Heritage Coalition “One of America’s Dance Treasures: the First 100.” He has choreographed over 90 works for dance companies in the United States, Canada, Israel, Europe, and South America. The Alvin Ailey American Dance Theater, Cleo Parker Robinson Dance Ensemble, Ballet San Jose Silicon Valley, Dayton Contemporary Dance Company, and Lula Washington Dance Theatre serve as repositories for his works. He is artistic mentor for the Limón Dance Company. Five Tony nominations have honored his choreography for Broadway musical theater. In dance he has received the Capezio Award, Samuel H. Scripps/American Dance Festival Award, American Dance Guild Award, Living Legend Award from the National Black Arts Festival, Heritage Award from the California Dance Educators Association, two Choreographer’s Fellowships from the National Endowment for the Arts, Dance/USA Honors, Irvine Fellowship in Dance, and the 2004 Martha Hill Lifetime Achievement Award, among others. In April 2005, Donald McKayle was honored at the John F. Kennedy Center in Washington, D.C., and presented with a medal as a Master of African American Choreography. For his work in education, he has earned the Balasaraswati/Joy Ann Dewey Beinecke Endowed Chair for Distinguished Teaching, UCI’s Distinguished Faculty Lectureship Award for Research, and he is a recipient of the UCI Medal, its highest honor. He has received honorary Doctorate Degrees from: Cornish College of the Arts, the Juilliard School, and from CalArts. His autobiography, “Transcending Boundaries: My Dancing Life,” was honored with the Society of Dance History Scholar’s De La Torre Bueno Prize. A television documentary on his life and work, “Heartbeats of a Dance Maker,” was aired on PBS on stations throughout the United States. Shapiro & Smith Dance began in 1985 as a collaboration between Danial Shapiro and Joanie Smith. After meeting in the companies of Murray Louis and Alwin Nikolais, they went on to create their first choreography during a Fulbright Lectureship in Helsinki, Finland. Since then Shapiro and Smith’s blend of contemporary dance and dramatic theater has elicited enthusiastic receptions across the U.S., Europe, Asia and Canada. The Company has been presented by major festivals and venues including the Joyce Theater, Lincoln Center Out-of-Doors, Dance Theater Workshop, St. Mark’s DanSpace Project, PS 122, Festival di Milano, Teatro de Danza in Mexico City, Recklinghausen RuhrFestSpiele, and the Korean International Festival. Danial Shapiro died of complications from prostate cancer in 2006 and now Joanie Smith continues as sole Artistic Director. Karen Dearborn has choreographed more than 70 works in concert, theater, and musical theater, including national tours of the Tony Award-winning National Theatre of the Deaf and several Equity theatres. She has provided choreography for the Muhlenberg theater productions of “On the Town,” “The Pajama Game,” “Oklahoma!,” “Urinetown,” and “West Side Story,” and Muhlenberg Summer Music Theatre productions of “Hairspray,” “The Sound of Music,” “The Who’s Tommy,” and “Oliver!” to name just a few. Dearborn is the founding director of Muhlenberg’s dance program. Her scholarly research has been published in the Journal of Dance Education, and she contributed an essay to the book “Performing Magic on the Western Stage.” She serves on the executive board of the American College Dance Festival Association. Shelley Oliver is a Canadian-born tap dancer, choreographer, and educator. She has appeared internationally with some of the legends of the tap world. She is the artistic director of The Shelley Oliver Tap Dancers currently touring with the David Leonhardt Jazz Group throughout the northeast. Oliver is a founding member of Manhattan Tap and served as a co-artistic director and choreographer with the company. She has toured in concert halls in Europe, China, the Caribbean, Canada, and the United States. She has performed with Savion Glover, Gregory Hines, Jimmy Slide, Buster Brown, Jimmy Slide, and Chuck Green. Oliver’s television appearances include “Tap Dance in America” with Gregory Hines and “Star Search.” On faculty at Muhlenberg College, she directs the Muhlenberg Jazz Tap Ensemble, providing community outreach in the Allentown area. Ms. Oliver has produced a series of “Tap Music For Tap Dancers” CDs that have become a standard pedagogical tool in the tap dance world. She is the recipient of the 2009 Outstanding Dance Educator award for the Lehigh Valley Dance Consortium. Jeffrey Peterson serves as an assistant professor of dance at Muhlenberg College, where he teaches modern, jazz, and partnering techniques. He holds a Master of Fine Arts degree from New York University’s Tisch School of the Arts. Peterson began his professional dance career in national tours with JAZZDANCE by Danny Buraczeski in 2000. Since then, he has performed in the work of Clare Byrne, Edisa Weeks, and Mathew Janczewski, as well as Stephan Koplowitz’s “Grand Step Project,” and the Minnesota Opera’s production of “The Pearl Fishers” with choreography by John Malashock. His choreographic work for Jeffrey Peterson Dance has appeared at Joe’s Pub, Joyce SOHO, and Dixon Place in New York City, The Minnesota Fringe Festival, Intermedia Arts, and Bryant Lake Bowl in Minneapolis, and in “The Cloth Peddler” at the Dorothy Chandler Pavilion in Los Angeles. Peterson’s choreography has appeared in the concert repertory of numerous university dance programs. His ongoing creative work includes choreographic projects, colorguard and visual consultation for the Govenaires Drum and Bugle Corps, and sound design. PHOTO CAPTION: Hoover Financial Advisors, P.C. offices on Moores Road, Malvern. 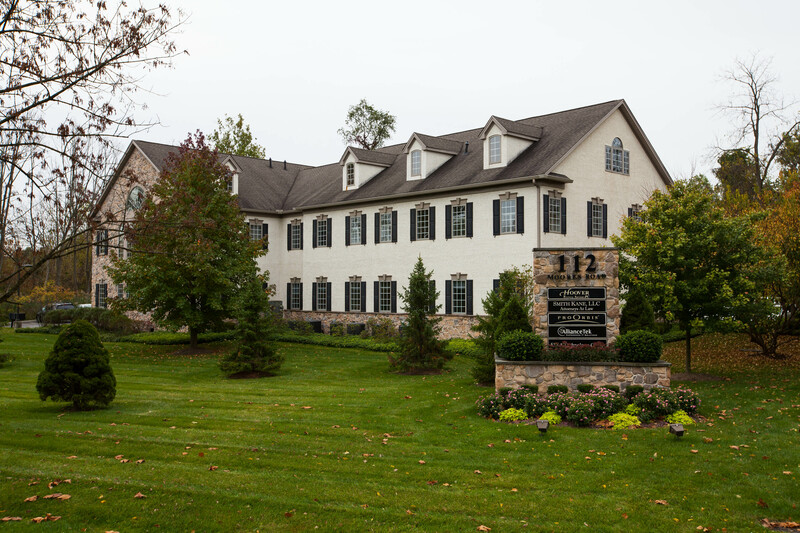 The expansion gives HFA an additional 2,080 square feet for a total of 5,368. First and second floor conference rooms are now each a sweeping 375 square feet with ample room for large meetings, work sessions and small special events. The lower level conference area is enhanced with a 65-inch flat screen television set. POTTSTOWN, PA — Family Services, the Montgomery County Asset Building Coalition and the Internal Revenue Service (IRS) are offering free basic income tax preparation for low-to-moderate income individuals and families (who earned less than $54,000 in 2015) through the Volunteer Income Tax Assistance (VITA) program. The IRS trains and certifies all VITA volunteers to prepare and electronically file income tax forms. VITA volunteers are trained to assist clients in claiming special credits and refunds, such as the Earned Income Tax Credit (EITC). The mission of the program is to help working families improve their finances and increase their self-sufficiency. Family Services’ Pottstown Office, 1976 East High Street, Pottstown. Appointment times: Mondays and Tuesdays, 5-8 p.m. and Saturdays, 9 a.m.-1 p.m.
Family Services’ Eagleville Office, 3125 Ridge Pike, Eagleville. Appointment times: Thursdays, 5-8 p.m. Appointments are required. To schedule an appointment at the sites listed above, please call Family Services at 610-326-1610. For a complete list of VITA tax preparation sites in Montgomery County, please visitwww.mcassetbuilding.org. Would you prefer to file your taxes in the comfort of your own home? Now you can—for free and without an appointment! Individuals or families with a combined income under $62,000 may prepare and file their own federal and state taxes online at www.myfreetaxes.com/fsmontco.org. This website is powered by H&R Block and sponsored by Walmart and the United Way. Since 1900, Family Services has been caring for children, seniors and families in Montgomery County who face everyday emotional difficulties or physical hardships. The agency’s innovative social service programs make a positive difference in the lives of 13,000 county residents each year. For more information, contact Family Services’ Pottstown Office at 610-326-1610 or visit http://www.fsmontco.org. Photograph caption: “Long Term,” oil on canvas by Isabel DeGuzman of Perkiomen Valley High School. Pottstown, PA —High school students from Montgomery, Chester and Berks counties will display their best artwork at Montgomery County Community College’s Third Annual Tri-County High School Art Exhibition and Competition in the College’s Fine Arts Gallery, North Hall, 16 High Street, Pottstown. The exhibition opens Wednesday, Feb. 17, and will continue through Friday, March 4. The artists’ reception also will be held on Wednesday, Feb. 17, from 5-7 p.m. with the awards ceremony at 6 p.m. Both the exhibit and reception are free and open to the community. This annual event enables up-and-coming student artists to exhibit their work in a professional art gallery and share their talents with the community. This year’s artwork will feature a wide-variety of subjects created in various mediums. MCCC art faculty members will be reviewing the artwork and will be available to answer any questions about the College’s art programs. Follow us on Facebook at http://www.facebook.com/DestinationArts for information about upcoming performances and art exhibitions. Help support the arts and art education programs at Montgomery County Community College by becoming a Friend of the Galleries. Donations are tax deductible. For more information, contact the College’s Foundation at 215-641-6530. The Lehigh Valley Arts Council and the Disability Friendly Community are pleased to announce Experience Arts & Access on Tuesday, January 26, 2016, from 2:45 to 5:30 p.m. at the Banana Factory in South Bethlehem. 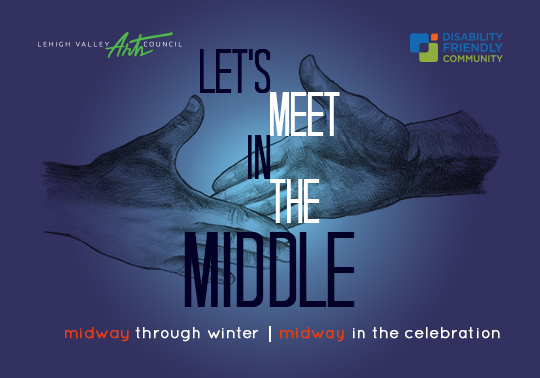 This mid-winter festive gathering celebrates the achievements of Arts & Access midway through a year of offering greater accessibility. Arts & Access launched last July to commemorate the 25th anniversary of the Americans with Disabilities Act through the lens of the arts. Currently, thirty arts organizations have teamed up with social service agencies to offer more than fifty events through June 2016, that intentionally reach people with disabilities and their family and friends. The diversity of programming include live theatre performances that are audio described and open captioned for people with visual and hearing loss; sensory friendly performances for children with autism, and a dance workshop for Parkinson patients and their caregivers. “Cultural access is really about customer service,” says Randall Forte, Executive Director of the Lehigh Valley Arts Council. “It’s about making your customers feel welcome and comfortable. Experience Arts & Access seeks to raise awareness of the needs as well as the abilities of persons with disabilities. Featured artist and National Storytelling Champion Anne Thomas will perform autobiographical stories crafted with a mix of dark humor, high energy and rare common sense. She speaks not only to survivors of disability, illness and tragedy, but to everyone who has a body, a dream, obstacles, hope and determination. Experience will also allow visitors to explore an arts experience through the simulated reality of a person with a physical, sensory, or cognitive limitation. Guests will be encouraged to test the different technologies that are available, such as audio description and open captioning, voice activated wheel chairs, plus a tactile exploration of a 3-D image of a painting. The event is free and open to the everyone, particularly someone with a disability. Please RSVP your intention to attend at info@lvartscouncil.org or 610-437-5915. Light refreshments will be provided. PHOTO: Dr. Kevin Pollock has been selected as Montgomery County Community College’s fifth president. He will begin his tenure on April 1, 2016. Blue Bell, PA —After an extensive, eight-month national search, Montgomery County Community College’s (MCCC) Board of Trustees is pleased to announce that Dr. Kevin Pollock has been selected to serve as the institution’s fifth president. He will begin his tenure at MCCC on April 1, 2016. Pollock, currently of Port Huron, Mich., has served as president of St. Clair County Community College (SC4) since April 2009. He has more than 30 years of education experience in diverse roles that include college administration, strategic planning, leadership and teaching. “Dr. Pollock’s breadth of experience in higher education will be a tremendous asset to Montgomery County Community College as we build on our outstanding reputation as a premiere community college in the nation,” said Board of Trustees Chairman Michael J. D’Aniello. That reputation was built, in large part, by the leadership of Dr. Karen A. Stout, who assumed the role of president and CEO of Achieving the Dream, Inc. on July 1, 2015 after serving as MCCC president for more than 14 years. “It is an honor to have been selected as the next president at Montgomery County Community College. It is my sincere hope that we can work together to build upon the foundation set by the faculty, staff, and Dr. Stout and advance the college even more so in the future to the benefit of the students and the community,” said Pollock. During Pollock’s seven-year tenure as president at SC4, the institution experienced record enrollment, embarked on new student success initiatives, increased its grant funding, became a leader in green initiatives, and strengthened its connections with the community. The institution also adopted a new vision, mission and strategic plan that is tied to national best practices and is based on data. In addition to his presidential responsibilities, Pollock is a frequent national speaker on topics that include student success, leadership, strategic planning and college transformation, and he has authored 18 book chapters and articles. Pollock holds a Ph.D. in Higher, Adult and Lifelong Education from Michigan State University and a Master of Arts in Education and Bachelor of Science in Education from Central Michigan University. Dr. Pollock will begin his tenure at MCCC on April 1, 2016. Dr. James J. Linksz will continue to serve in the capacity of interim president until Dr. Pollock begins his tenure. Blue Bell/Pottstown, PA — Montgomery County Community College Foundation recently awarded $19,705 in grants for the 2015-16 year to support programs and initiatives that will improve student success and access, enhance students’ educational experience, promote sustainability and engage the community. Veterans Retreat – A $5,000 award will allow 20 veteran students to attend a two-night Mindfulness Retreat in Bangor, PA, during which attendees will participate in activities to help build physical, cognitive and emotional resiliency; decrease levels of stress; improve quality of sleep; and improve emotional well-being. The program will be led by Ann Marie Donohue and Deborah Greenspan, MCCC psychology professors, with Veterans Services Coordinator Michael Brown. Reading Community of Practice: Reading in the Content Areas – A $3,779 grant will support this reading program designed to introduce and engage participants in active reading and critical thinking to help increase student success in the classroom. Through workshops, one-to-one faculty collaborations and ongoing support, students will learn to model reading strategies as demonstrated through best practices. The program will be led by Assistant Professor of Reading Barbara Maurer. Creating Accessible Videos with Closed Captioning – A $3,776 grant will enable MCCC’s Information Technology department to create closed captioning for course content videos used by faculty to increase access and student success. The grant funding will cover software costs and allow IT to hire students to learn and work alongside the academic training team, led by MCCC Instructional Designer Joshua Eckenrode. Software Development Academy Pilot Equipment Support – A $3,000 grant will enable MCCC’s Director of Enterprise Infrastructure Jim Stasik in IT to purchase additional computers and iOS devices to support MCCC’s proposed Software Development Academy pilot. This proposed pilot program will increase student access and success in the IT field by providing and innovative delivery of curriculum in a high-performance culture. The Betzwood Silent Film Festival – A $3,000 grant will enable MCCC’s Lively Arts Series under the direction of Interim Director Brent Woods to continue the presentation of The Betzwood Silent Film Festival on May 7, 2016. This annual festival informs the community about the unique history and culture of the silent film industry that developed in Montgomery County and engages the audience through the lively narration and presentation of silent films. The Betzwood Silent Film Archive is housed in MCCC’s Brendlinger Library at its Central Campus in Blue Bell. Bike Maintenance Station – A $1,150 grant will enable MCCC to provide a bicycle maintenance station at its Central Campus in addition to the station at West Campus in Pottstown. Nationally recognized as a Bike Friendly University by the American Bicyclists, MCCC encourages bicycling as an alternative form of transportation for nearby students. The initiative supports MCCC’s ongoing commitment to sustainability since signing the American College and University Presidents’ Climate Commitment in 2007. Established in 1983, the Montgomery County Community College Foundation provides student scholarships; grants for projects, equipment and technology; student emergency funds; support for cultural enrichment activities and financial resources for programs and activities. The Foundation makes a difference in the lives of students thanks to the generosity of alumni, parents, community friends, private foundations and corporations. For more information, contact the Foundation at 215-641-6530. Blue Bell/Pottstown, Pa.—Vice President of Academic Affairs and Provost Dr. Victoria Bastecki-Perez is pleased to announce the fall 2015 Dean’s List at Montgomery County Community College. The Dean’s List recognizes full-time students who have earned at least 12 cumulative credits with a grade point average (GPA) of 3.5 or higher during the fall 2015 semester.